The Official Home of NOPAL: Hanna-Barbera!! 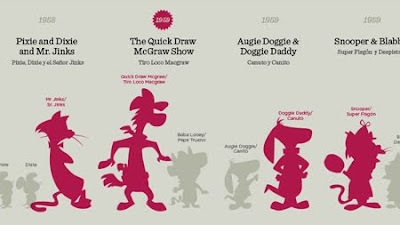 Artist, Juan Pablo Bravo has done it again with an infographic depicting 600 Hanna-Barbera characters. Don’t forget to check out his other works as well – 250 Disney characters and 70 Disney Villains.